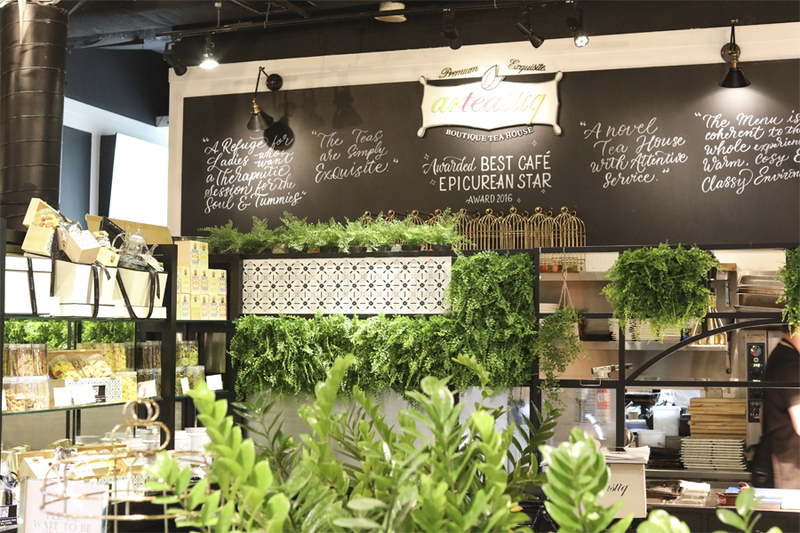 Arteastiq at Mandarin Gallery has always been known for its elegant chi-chi ambience and eclectic range of artisanal tea selections, considered an oasis in the middle of fast-paced Orchard Road. Friends often joke that it is where we can experience the “tai tai” life without actually being one. That aside, it is quite the place to chill and relax down town. 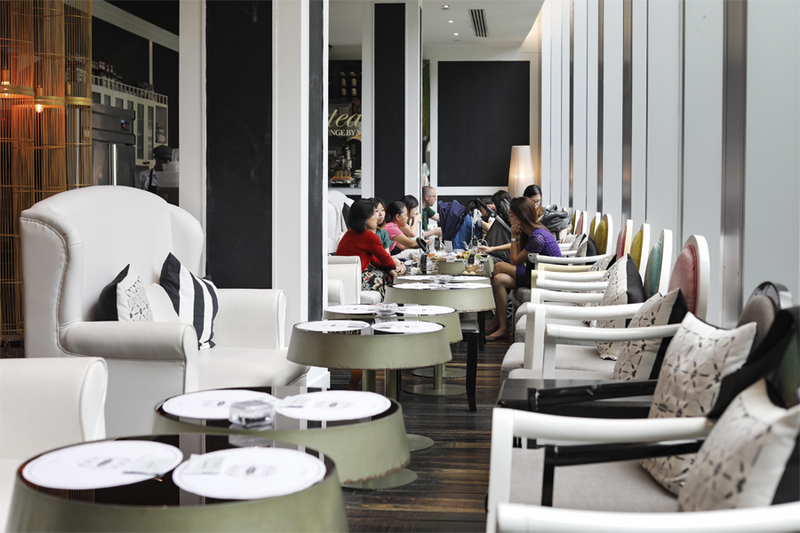 It has 2 locations, both along Orchard Road – its flagship at Mandarin Gallery; and another at Plaza Singapura with a recently revamped bistro and bar concept. 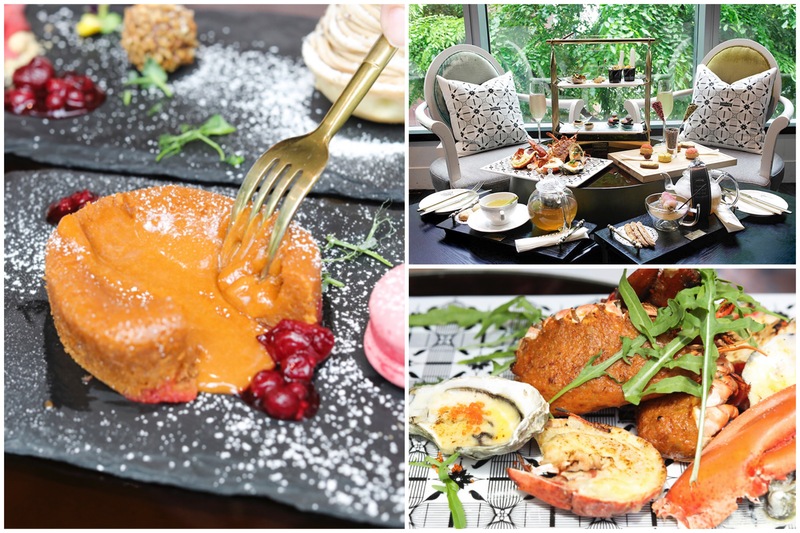 If you have not been there before, the name “arteastiq” is a portmanteau of art and tea, essentially meaning “the art of teasing” or “the art of tea that makes you tick”. 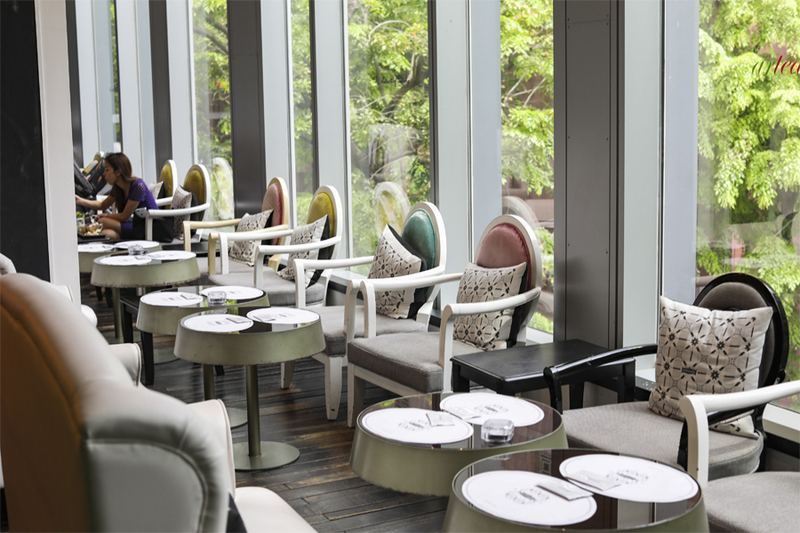 The boutique boasts over 70 in-house tea selections. On its side is Arteastiq Social Painting Studio offering Art Jamming – a popular lifestyle activity that I think can be rather therapeutic. 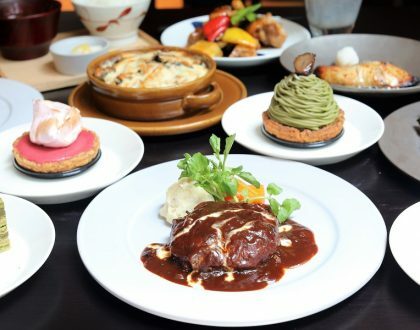 While it has known more for its Western style dishes and brunch items such as its Crab Cake Breakfast and Chicken & Waffle food wise, it has recently revamped its menu to include more Asian touches. Don’t blame yourself if you cannot remember the names. 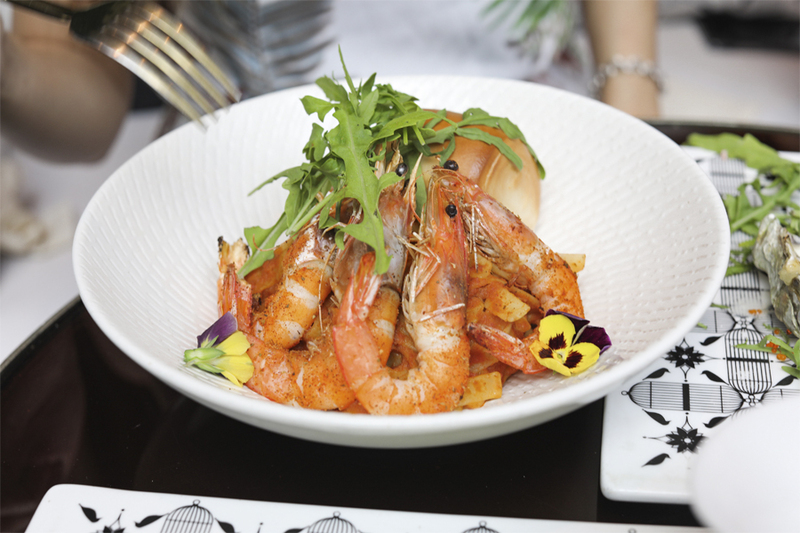 From the Asian Delights section, try the Chilli Egg Prawn Fettuccine ($20), a sweet-savoury pasta (the sauce is a blend of tomatoes, chili sauce, lemongrass, eggs, dried shrimp, garlic, onions and ginger) served with pan-seared Cajun prawns and mantou bun. This is a take of the familiar local Chilli Crab with a twist, is not too spicy, and still retains the tangy-sweetness of the tomato base. 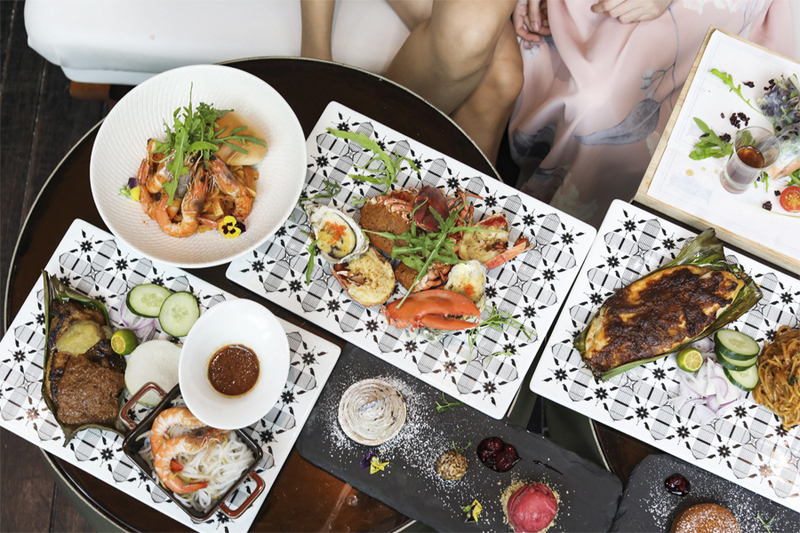 There is a section called Asian Delights which features Thai Basil Chicken ($15), and Sambal Boston Lobster & Dry Laksa ($38). 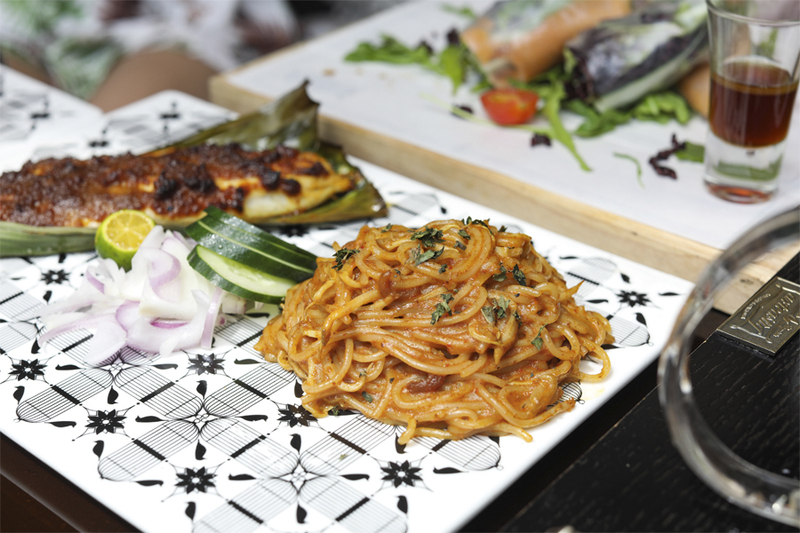 The Sambal Sea Bass & Dry Laksa ($25) a.k.a. 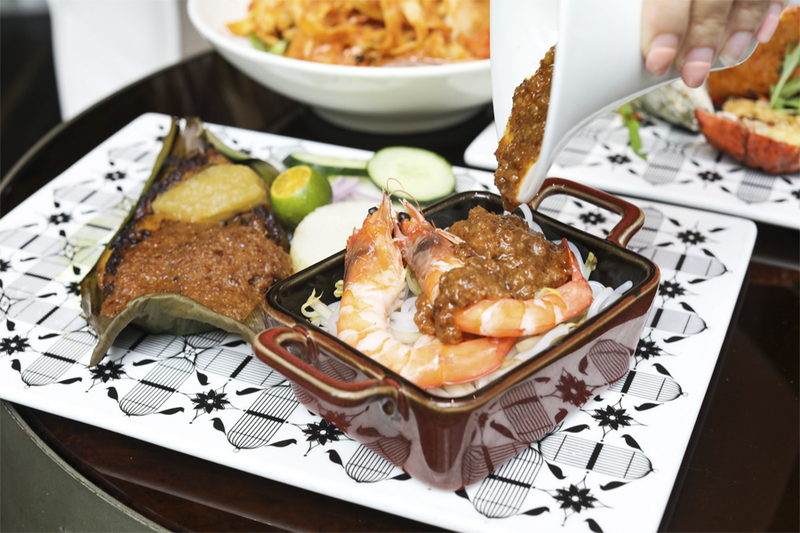 Myth of the Sea is probably my favourite NEW dish the menu, a fillet that is oven-baked with dried shrimp sambal chili. 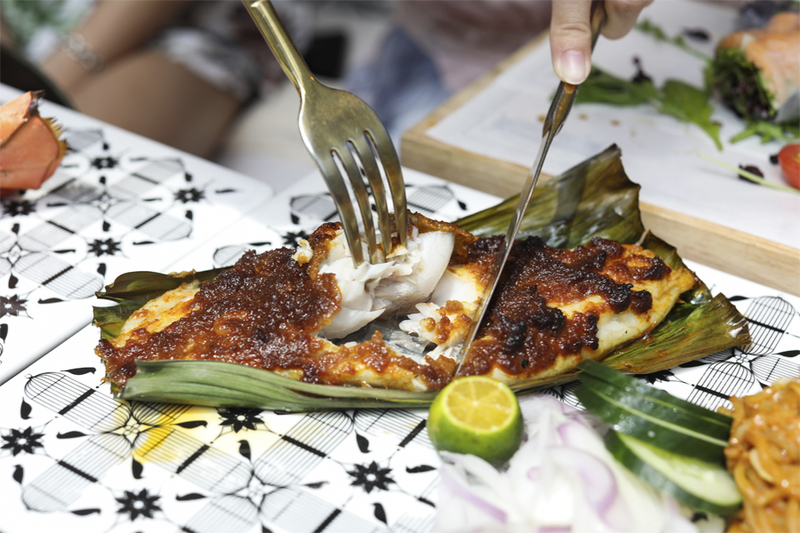 Its presentation would remind you of Sambal Stingray. While this version may not have that familiar smokiness, the fresh fish with its large flakes of meat and mildly spicy sauce would still be quite ”shiok”. While I might just have preferred some rice on the side, the Dry Laksa allowed you to experienced two dishes in one. To balance the heat, it is paired with onions, cucumbers and a small lime to add zing. Even your satay coming as a slab of chicken meat, in that distinctive sweet-salty-aromatic seasoning, served with a side of creamy peanut sauce. 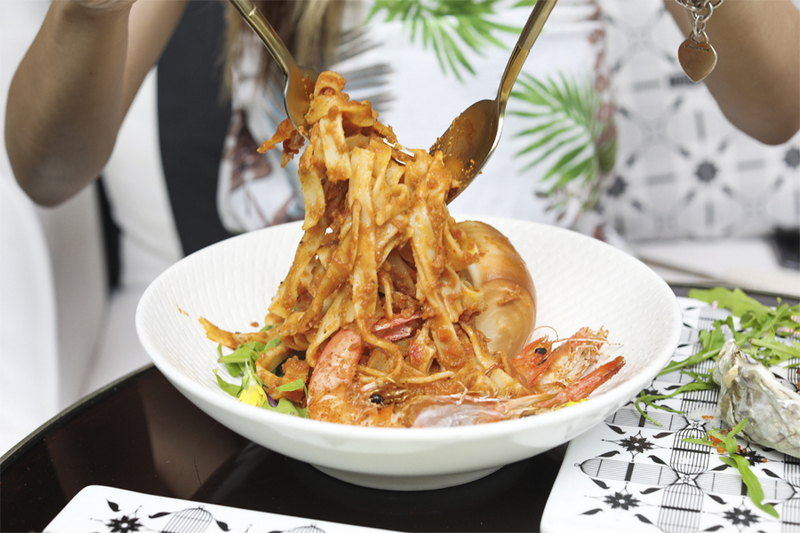 On the side is rice vermicelli with prawns, which can be poured over with the sauce, reminiscent of satay bee hoon. If you are thinking of going lighter and healthier, there is a section of salads which includes Granola Mixed Green Salad ($13), Spinach and Sweet Potato Salad ($15), and Soba Salad ($13). 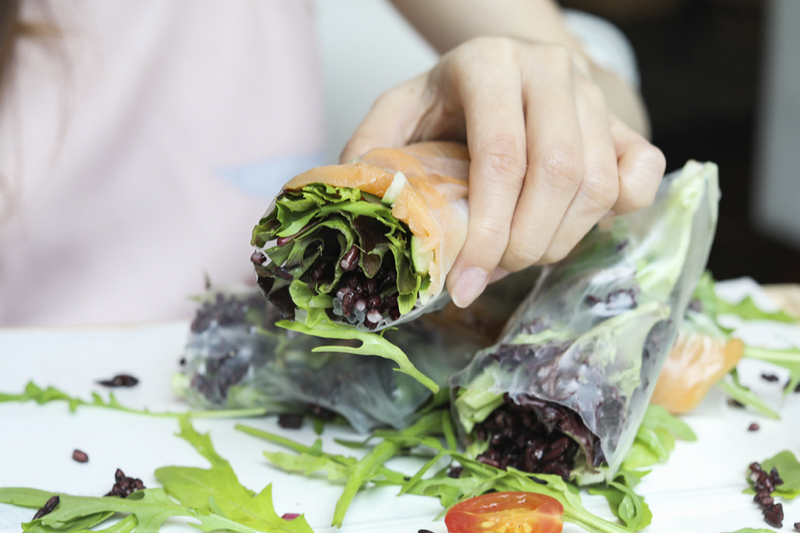 Try the Black Rice Salad Rolls ($13 for 4 rolls) which is like salad on the go. Just pop in your mouth these healthy morsels of smoked salmon with Japanese cucumber and some greens, drizzled with Shoyu dressing. 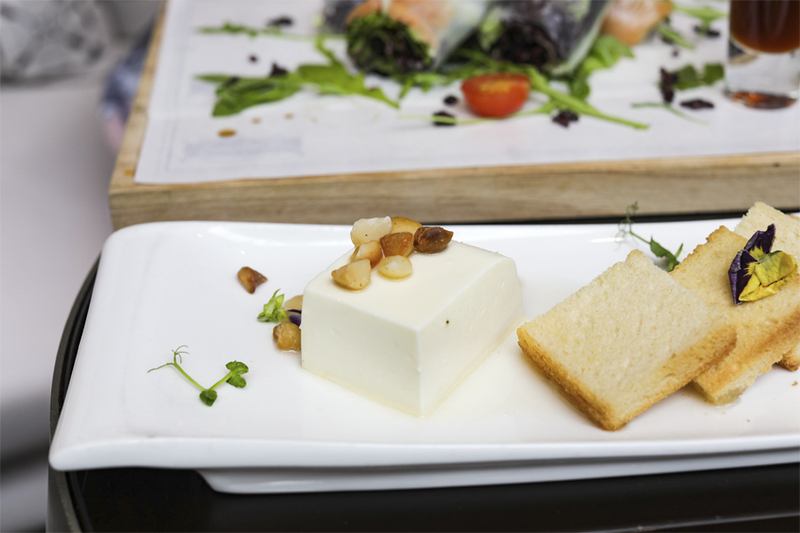 The Cheese Tofu ($9) is a chef-recommended starter – a vegetarian appetiser, simply served with some honey, macadamia nuts, and 4 slices of toast. The texture is quite unlike anything I tried before, and would recommend spreading some on the sweet toast. Now for dessert. Finger Dance? 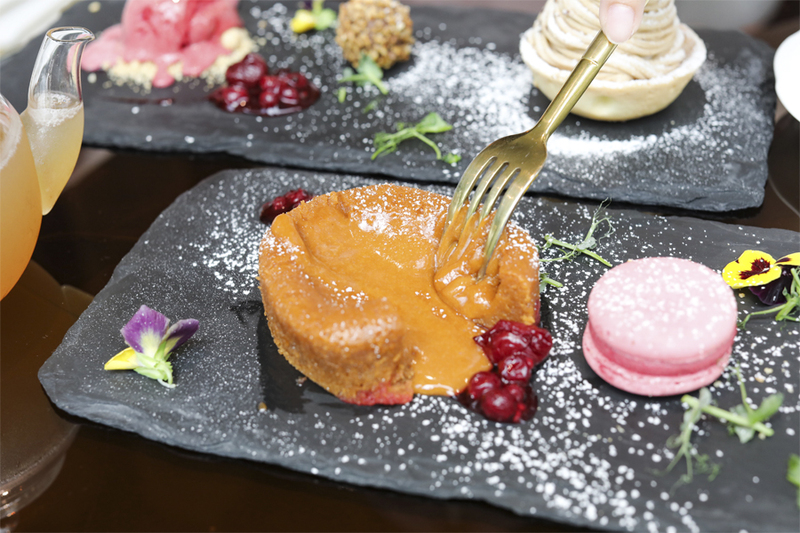 That is a lava cake filled with Thai milk tea, served with vanilla gelato and a macaron on the side. 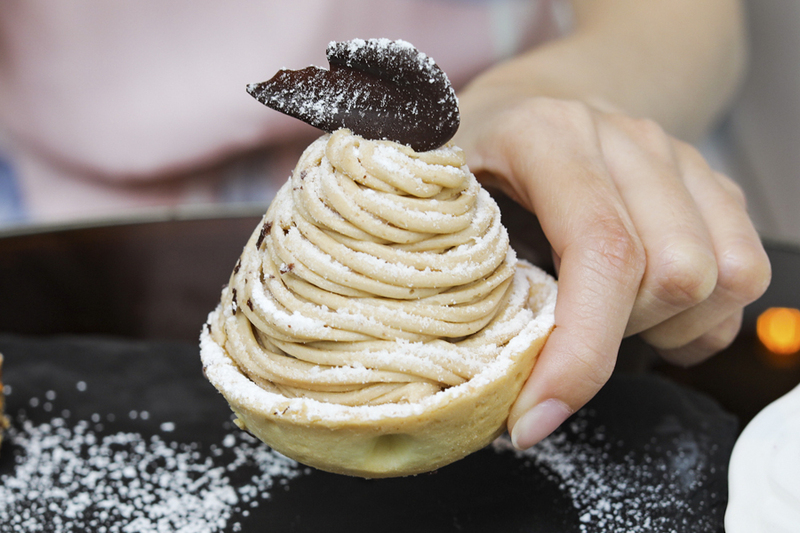 Another must-try is the Chestnut Mont Blanc Tartlet ($15) a.k.a. The Caress. This is art-on-a-plate, with the tart as a “mountain” beside a scoop of berry compote on chocolate “soil” and a chocolate truffle. 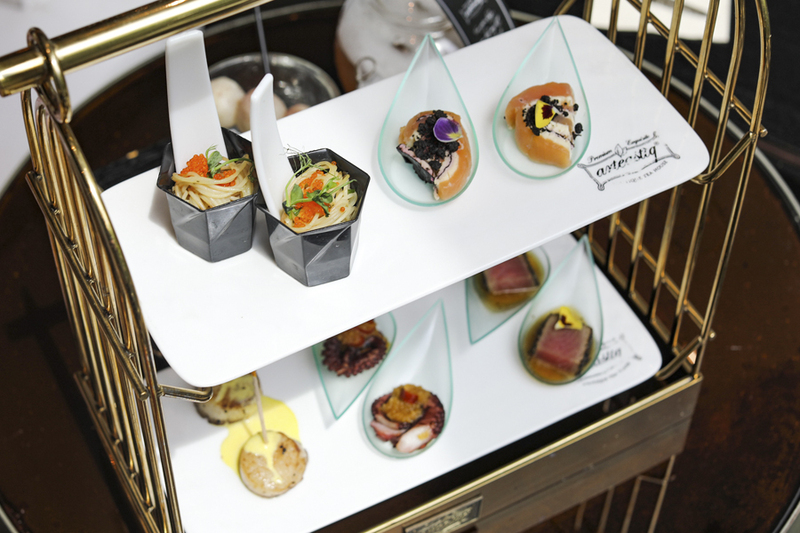 There have been some upgrades in the menu but if you are a purist, don’t worry – the original tea menu remains intact. 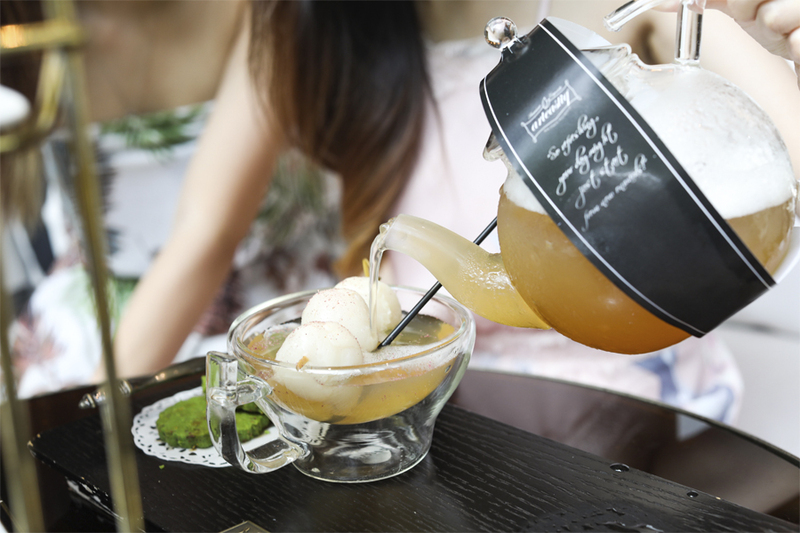 Each specialty tea selection undergoes R&D to achieve that perfect taste. Talk about tea geekery. 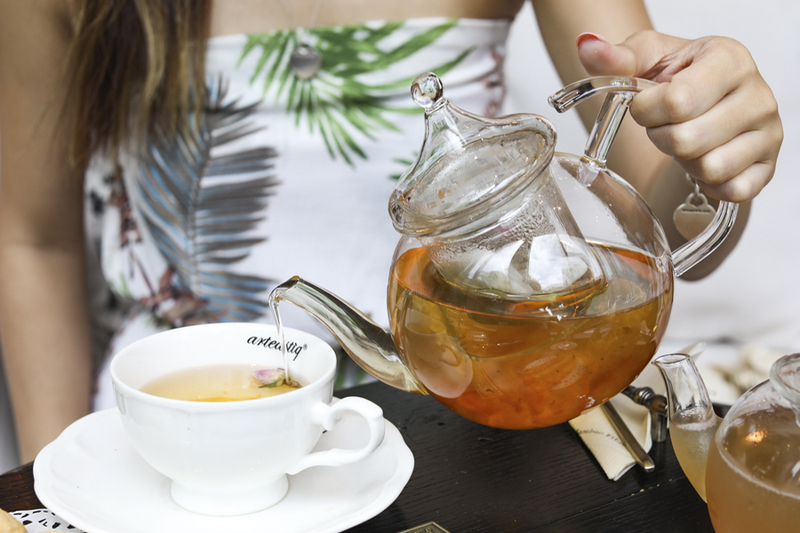 All tea blends are packed in-house and only brewed fresh upon ordering. Other than tea, you’ll never run out of options for beverages, from chocolate, blended coffees to lattes. I was intrigued by “Collagen Tea” (I am a guy, and that word is rather ‘foreign’ to me). Turns out a series of teas has peach resin added to them. Peach resin or gum is frequently used in Traditional Chinese Medicine, and is said to allow collagen to be quickly absorbed into the human body. 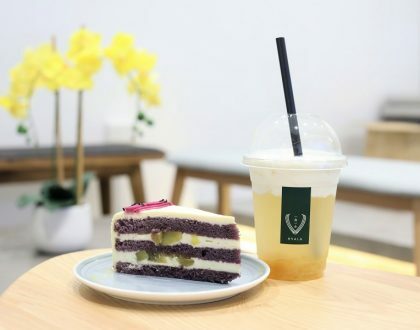 So have a go at the Collagen Teas with flavours of Earl Grey, French Rose, Bolivian Cherry, Osmanthus Oolong, Chamomile, and Dandelion – for that refreshing taste with beautifying effects. 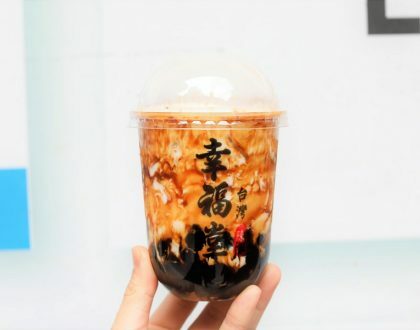 Consort Yang Yuhuan (also known as “Yang Gui Fei”), is reputed to be one of China’s legendary beauties and also a big fan of lychees – thus the name of this tea. 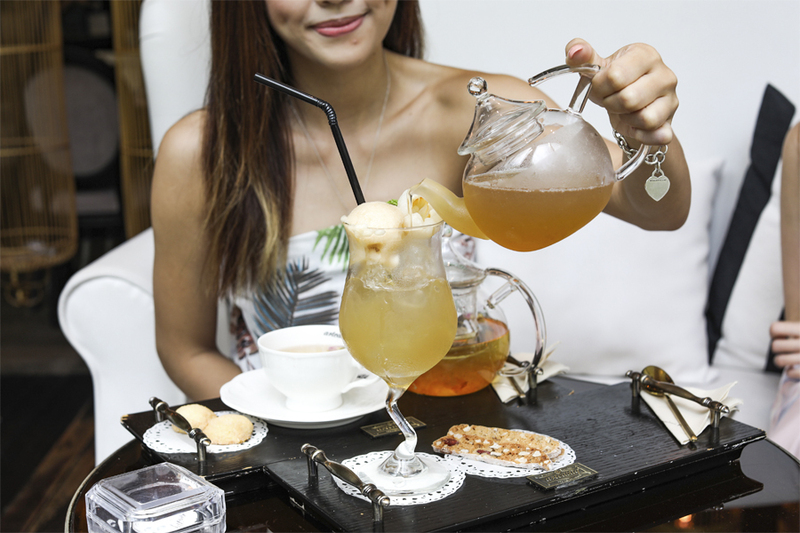 This dessert tea has been one of the best sellers since Arteastiq’s opening days, which is the perfect summer drink – fruity, lightly sweeten, absolutely refreshing. 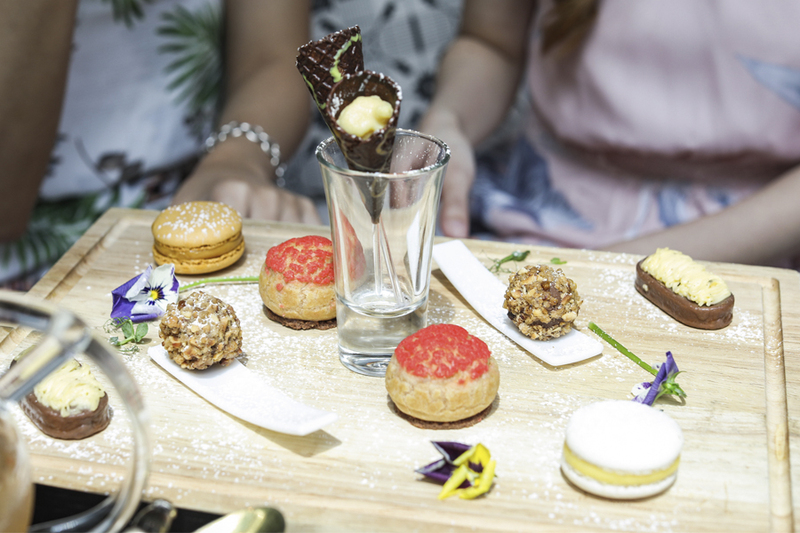 Arteastiq’s menu is two-fold: all-day menu and high tea. The Luscious Seafood High Tea For 2 ($98++ to $138++) is a luxurious 3-course high tea set: a seafood teasery, seafood platter and nectarous platter peppered with sweet treats of Chocolate Cone with Banana Custard, Vanilla Blueberry Tart, Chocolate Truffles with Nut, Macarons and Double Raspberry Choux Pastry. The set also comes with 2 specialty teas of your choice. 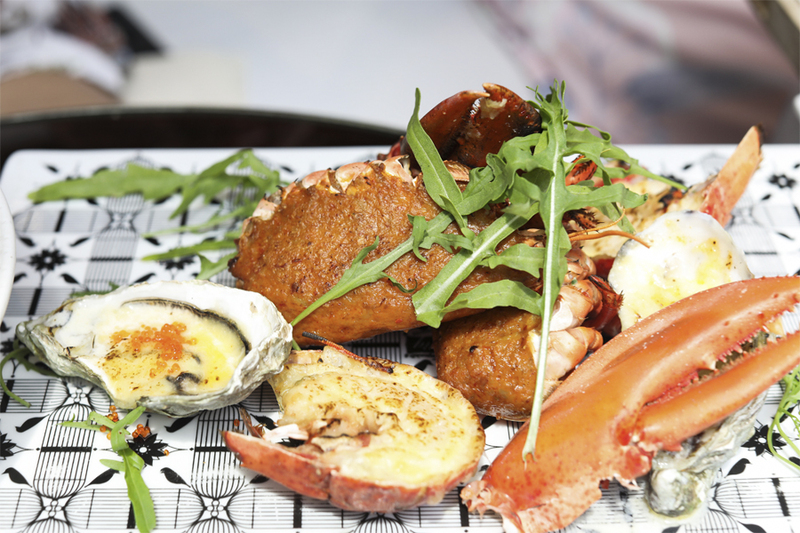 The highlights are the Baked Boston Lobster Tail and Otah Stuffing; and Oysters baked with Cheddar Cheese and Tobiko. $98++ for 2. Comes 2 specialty Teas of your choice. $118++ for 2. Comes 2 Glasses of Moscato and 2 specialty Teas of your choice. $138++ for 2. 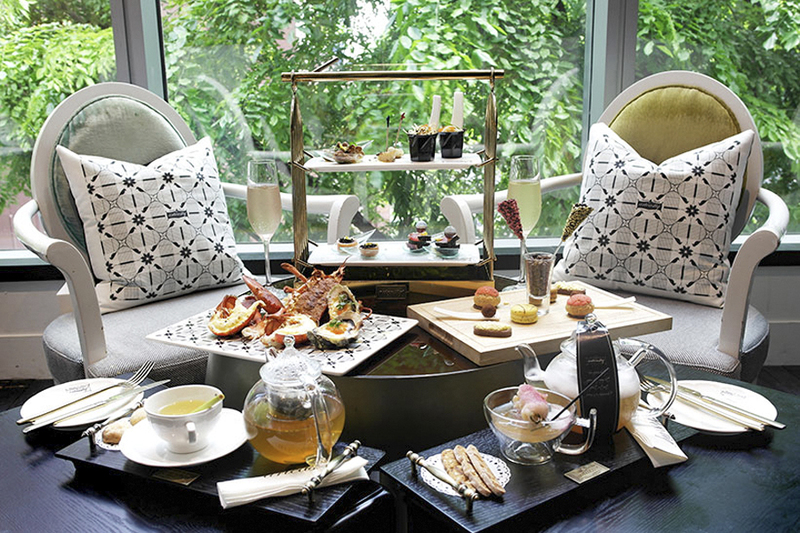 Comes 2 Glasses of Champagne and 2 specialty Teas of your choice. After than the food aspect, I find it therapeutic for an Art Jam session. 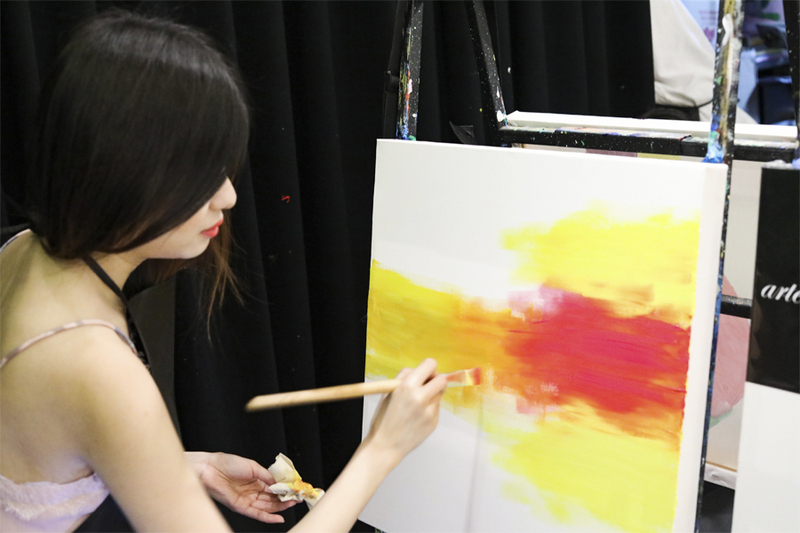 You can interact with others while engaging with your own creativity through painting. 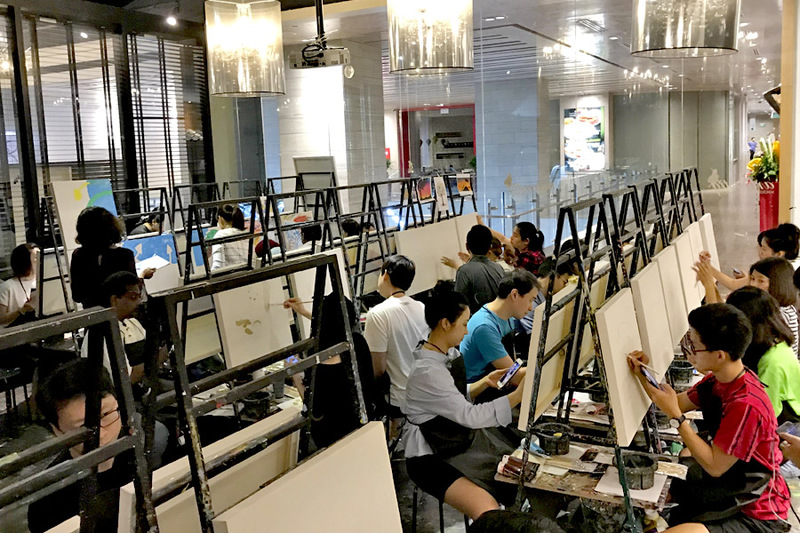 For $48++, you get a free canvas (50×50), unlimited acrylic paint + supplies, and one free beverage from Arteastiq Boutique Tea House. Give it a try and experience the therapy of blending tea and art (Okay, not literally!). * This entry is brought to you in partnership with Arteastiq. What in the world does this mean? Were you paid (whether in cash or on kind) for writing this article? If you talk straight and reveal what you received from Artisteaq for writing this article, you will have more credibility. So will I visit Artisteaq after reading this article? Of course not.